The real wedding stories that we normally get sent to us usually recount only the big day itself (which we love by the way, so keep sending them in!). 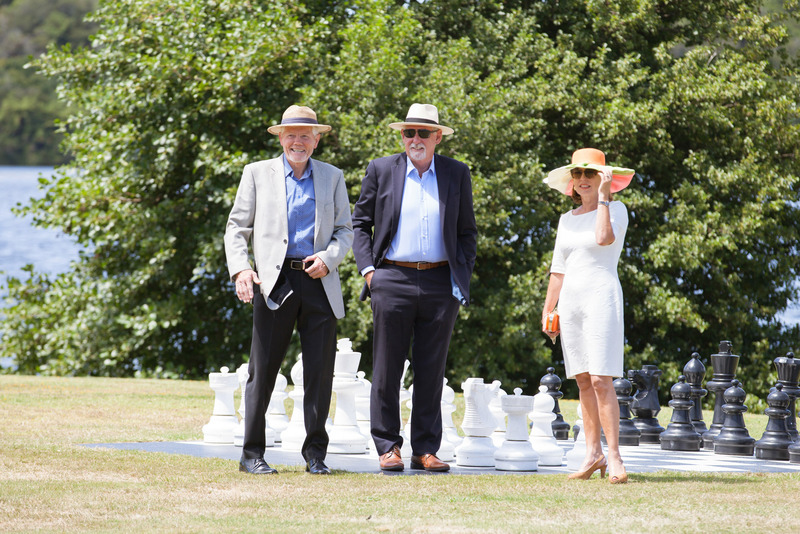 Today, however, we have the pleasure of presenting Alice and Nick’s story, as told by Alice. Not just of their (glorious) wedding day, but also their history together. It is great to see this side of the relationship and gives us a real connection with this couple. "My now husband, Nick, and I met over 17 years ago when we were both 15 at high school and catching the school bus from the same stop. I noticed shy glances coming from him and I’m pretty sure he followed me home from the bus stop once or twice, lingering at a non-threating distance of course! My brother who caught the same bus as Nick came home after school one day and informed me that a guy a few years older than him wanted to meet me to walk the dogs at the local park, I sceptically agreed and from that day on we were best friends and bonded over our love for dogs. Several weeks on Nick invited me to his school ball, I accepted and off I went in a white Liz Hurley inspired gown - needless to say at this stage I didn’t realise this wouldn’t be my only time standing beside Nick in a white gown. Unexpectedly I ended up getting together with one of Nick’s good friends that night at the ball (who I ended up dating for 2 years) Nick was devastated however we remained best friends and continued to see each other on a daily basis; at the bus stop, walking our dogs or gossiping outside my bedroom window well past 11pm or until Dad told Nick to “Bugger off home”. We had a solid foundation; I hadn’t experienced having a male as a best friend before, so it was an exciting time. We both went our separate ways to universities in Hamilton and New Plymouth, we each had other relationships but we stayed in touch. 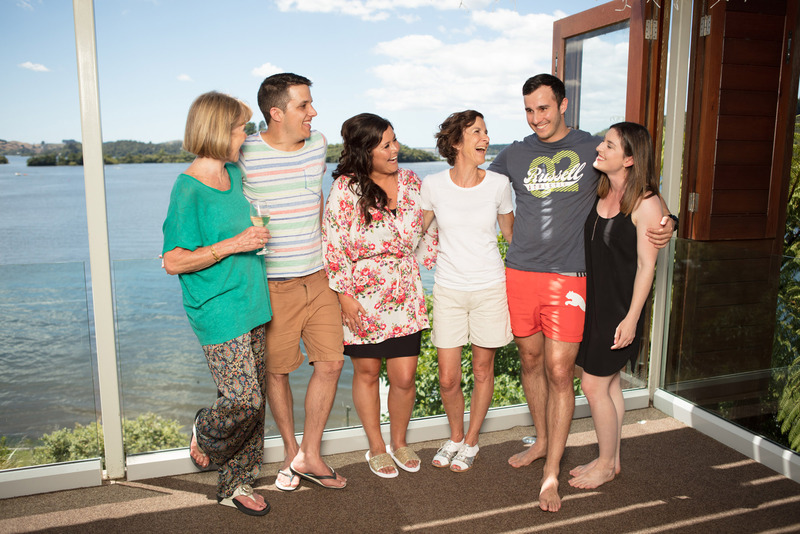 We ended both moving back to Auckland and our friendship reunited. 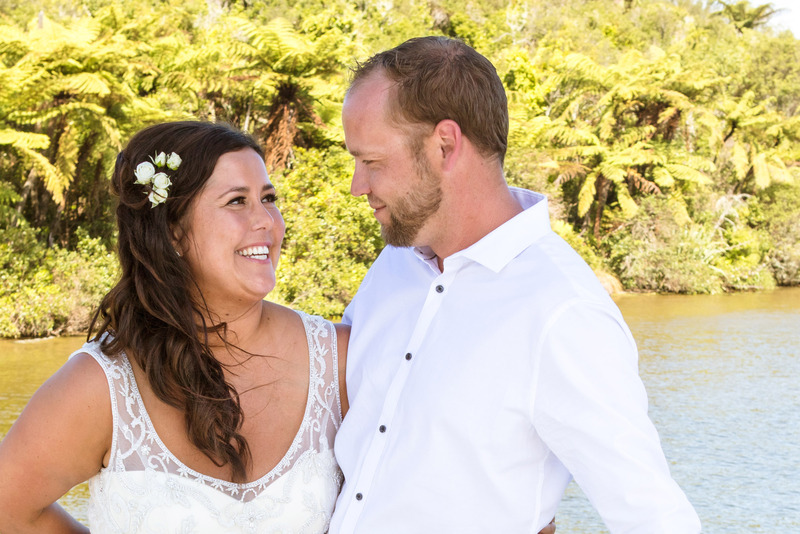 We were as strong as ever and although we were dating other people we shared incredible times from Sunday adventures, boat cruises out to Motuihe Island to the notorious naked summer- but that’s another story! After one of our Sunday adventures out to Awhitu (Manukau Heads) I ended up seeing Nick in a different light; he was the whole package. He was first and foremost my best friend, he was adventurous, fun and most importantly we already had a rock solid foundation built on nearly 17 years of friendship and this changed everything. So after many more Sunday adventures spent with Nick exploring our coastlines, hanging ten and supporting his passion for kite surfing, after purchasing our first home together and becoming first time DIY-ers and after adopting our petite West Highland Terrier ‘Pincho’ Nick finally dropped down on one knee on the sandy shores of Tawhitokino and asked me to be his wife. 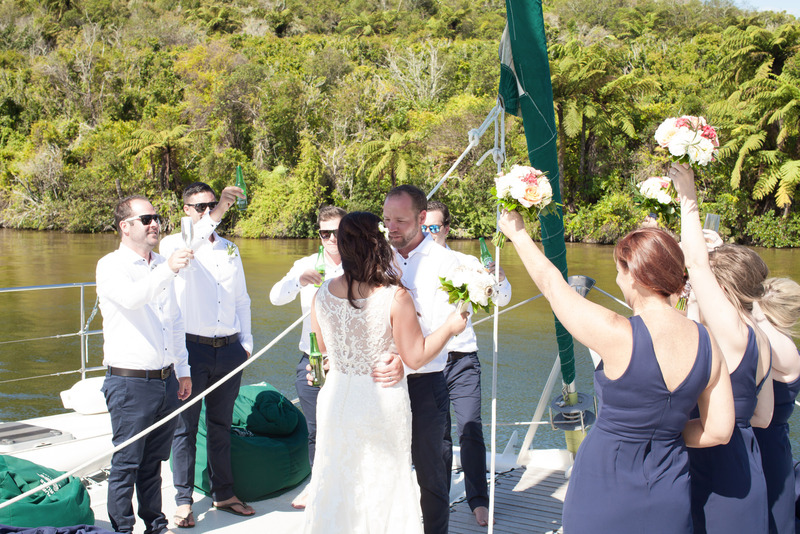 From the moment I said ‘Yes’ we started planning our wedding and we knew the perfect spot- Lake Rotoiti! Nick has had a lake house down there all his life and has spent childhood summers fishing for trout and zipping around the lake in his tinny. 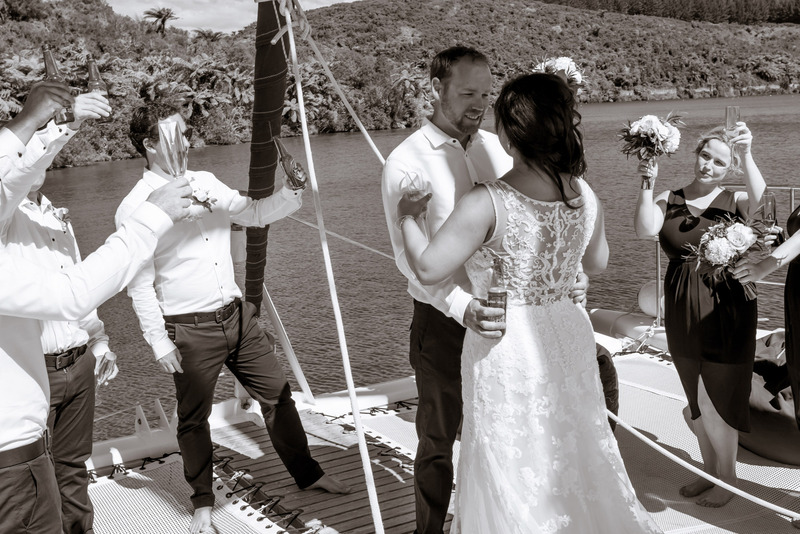 As a couple we have also spent memorable times down at the lake; wakeboarding, building tree jumps and visiting Manupirua hot pools which are only accessible by boat. 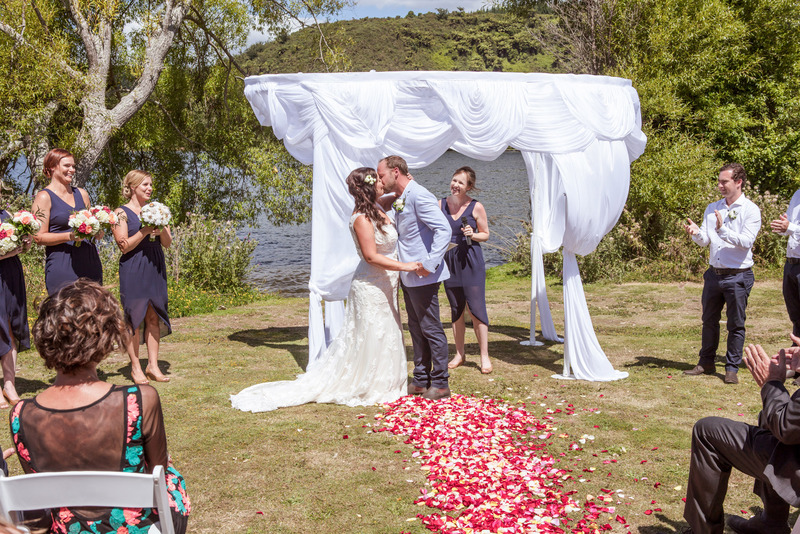 Located on the shores of beautiful Lake Rotoiti, and just 15 minutes’ drive from central Rotorua, lies VR Lake Resort known for its idyllic setting and superb facilities, this was the perfect venue for us which exuded the relaxed atmosphere we wanted and was an ideal backdrop for our photos. 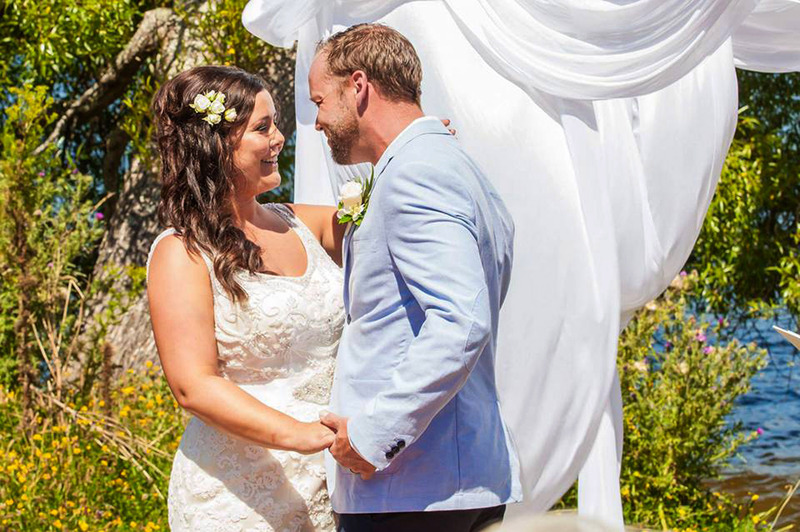 After nearly a year of planning, our special day took place on Auckland Anniversary weekend, January 28th 2017. The day started off at a spectator lake house that my mother had hired to accommodate her side of the family; with panoramic views down onto the lake and across to the venue this was the ideal location for the bride, bridesmaids and mother of the bride to be pampered, made beautiful and to enjoy a few glasses of Moet! 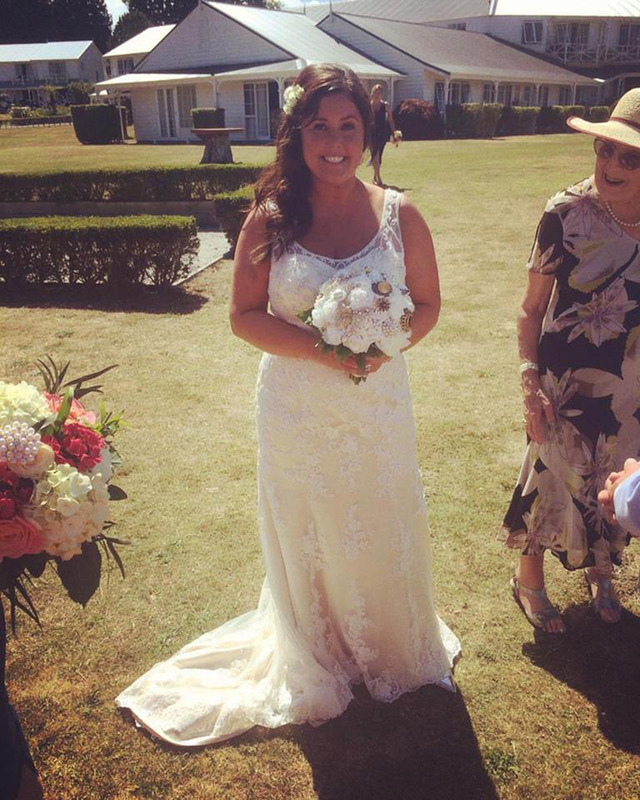 (See photos attached with bridesmaids in floral dressing gowns). From this location we were able to see the arch being erected and the rose petal aisle taking form. We watched with bated breath as the groom and groomsmen ran around perfecting tables, arranging microphones and putting together our bridal table backdrop, which was a very intricate ordeal. At 2.45 pm the bride, bridesmaid and father of the bride met in the bridal suite, downing nervous glasses of bubbles before the music started for the 3 pm ceremony to commence. Walking arm in arm down the aisle with my father to Gladys Knight and the Pips ‘Midnight Train to Georgia’ was a moment that I will treasure forever; it was soulful, intense and the beginning of a new chapter as Mrs Harris. 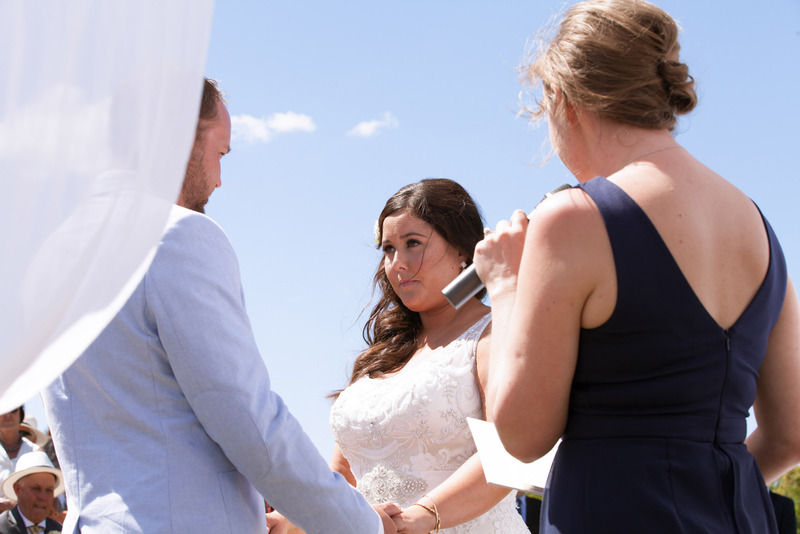 The ceremony was conducted by my best friend, bridesmaid and celebrant extraordinaire Jodi Douglas which made for an incredibly meaningful and authentic ceremony. 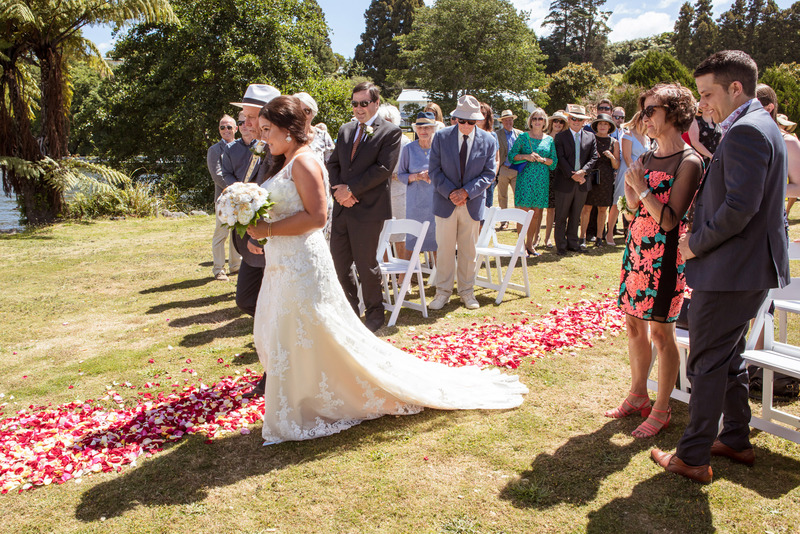 The kiss was magical and we walked back down the aisle as Mrs & Mrs Harris to iconic kiwi music; Six60’s song ‘Forever’. 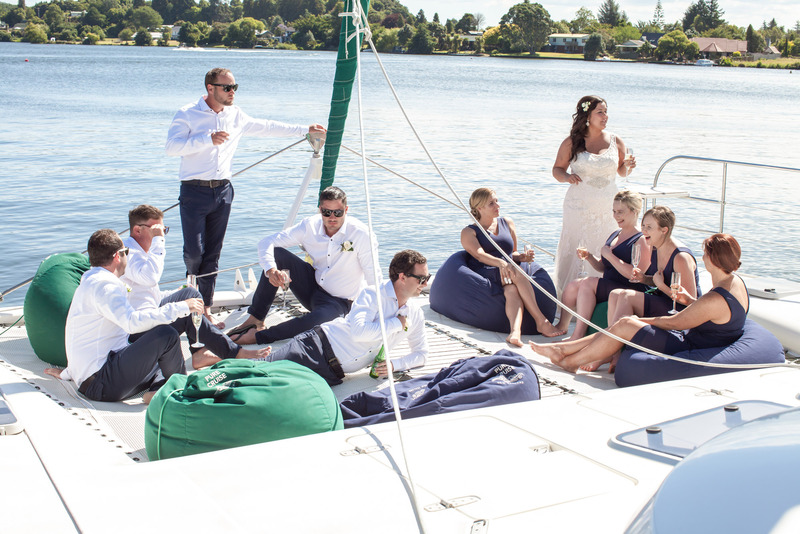 The bridal photos took place upon Pure Cruise’s 53 ft catamaran, the photography was candid (as requested), cameras flashed as we enjoyed glasses of 2002 Dom Perignon and great banter which naturally forms when enjoying Dom. This was an absolute highlight of the day, we had music blaring, laughter spilling across the lake and moreish canapés being served around. We took in the almost prehistoric backdrop and thanked our lucky stars that we’d been blessed with the most beautiful weather. We arrived back to the venue an hour later and spent time mingling with enthusiastic guests. 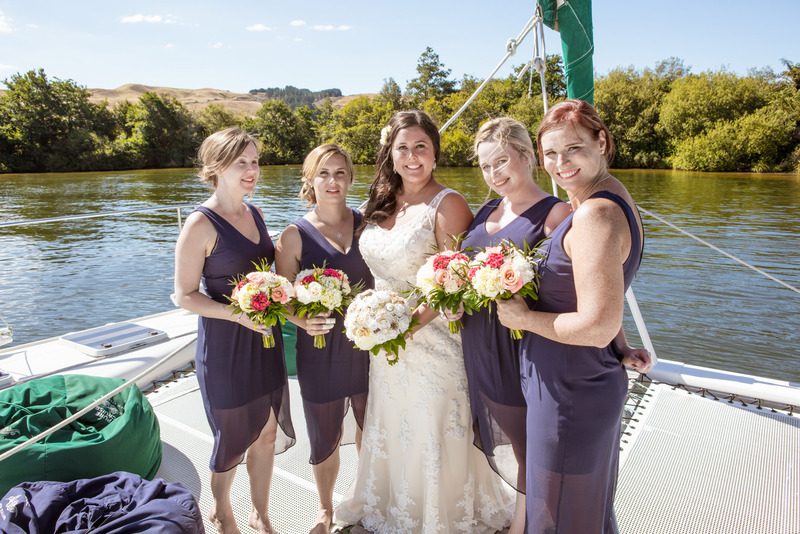 The Catamaran was then filled with 50 of our family & friends; they were taken out on the lake to enjoy all Okawa Bay had to offer and everything the bridal party had just experienced. 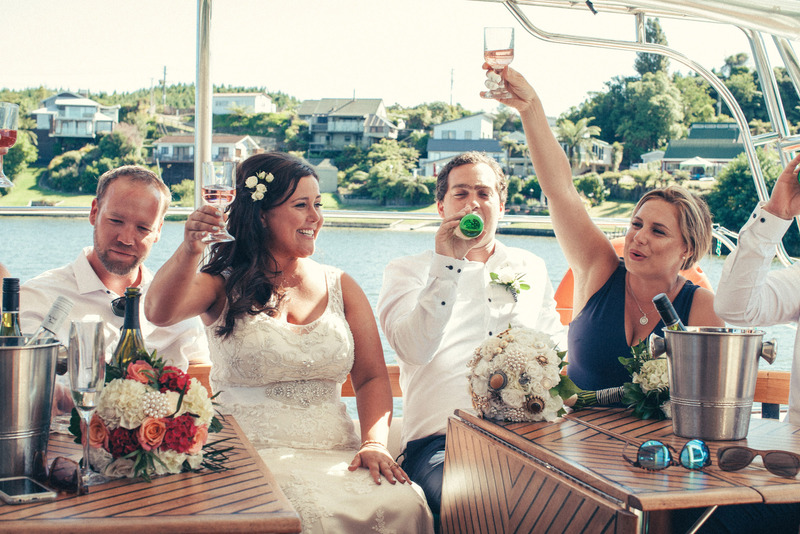 The older and less daring guests stayed back at the venue with the bridal party to make the most of the photo booth, giant lawn games and of course the bar tab! 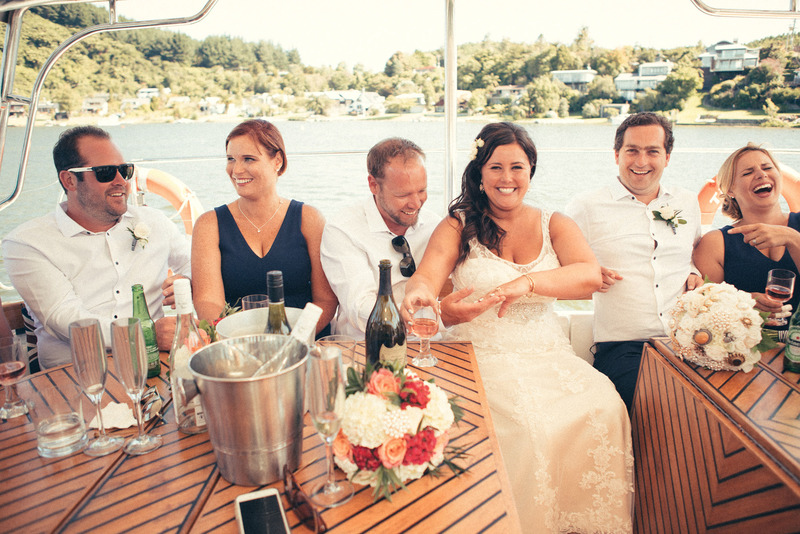 Once the 50 guests sailed back into shore family photos were taken and the reception commenced at 6.45 pm. As entrées were served the smell of pork belly filled the room while guests enjoyed talking amongst themselves and indulged thoroughly in Ned’s Rose, in fact by the time dinner was served we had run out of Rose completely! The speeches took place between our entrée and main, our closest family and friends painted a colourful and at times disturbing picture of who Nick & I were and why we’d come together. The night continued to run smoothly and after meals had been enjoyed and wine glasses had been topped up it was time for our first dance. Unbeknown to our guests we’d been attending dance lessons for the last two weeks, this probably didn’t help all that much as we both seem to have two left feet. 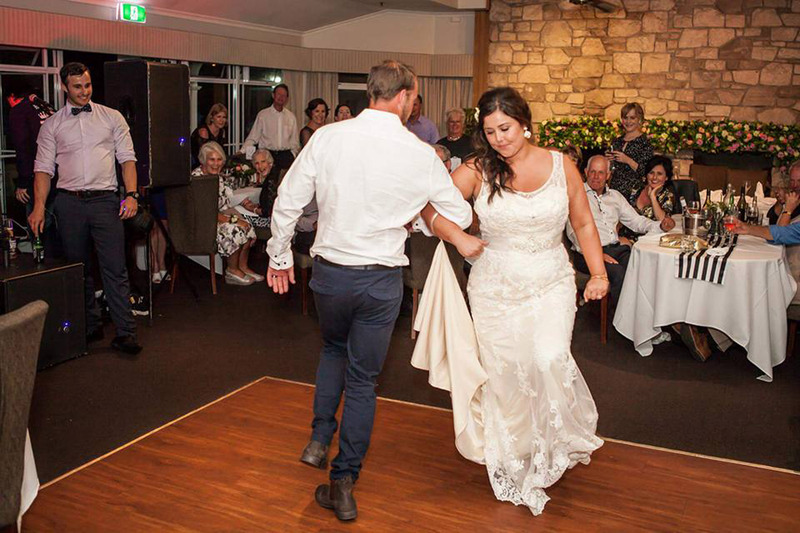 However our mash-up routine went off without a hitch as guests were shocked to see waltzing, line dancing and a few sweet Michael Jackson moves! 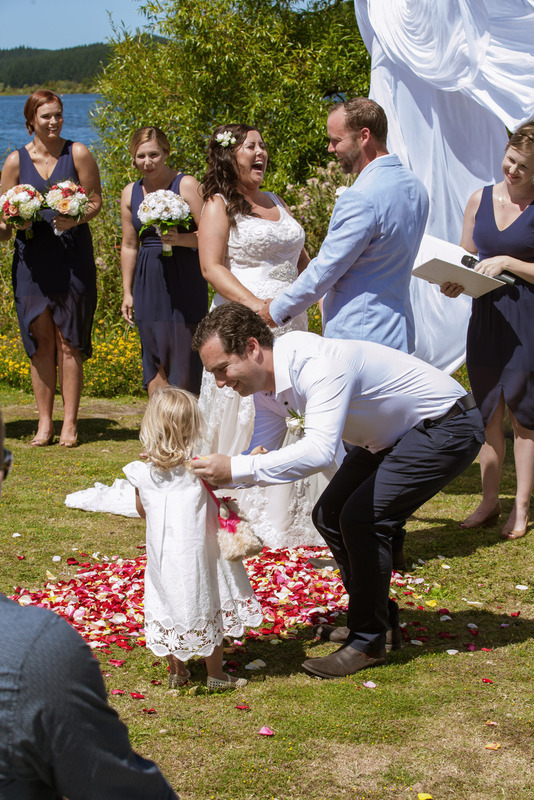 This out of everything was the absolute highlight of our wedding, we were able to surprise, entertain and amuse our guests, it was extremely awkward but it was incredibly rewarding being able to see a sea of smiles throughout the crowd. 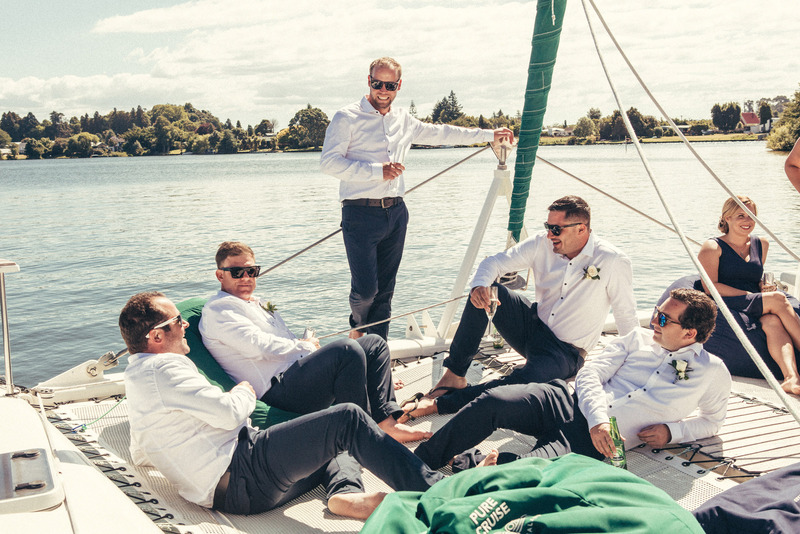 Auckland’s top cover band Catch 22 was then ready to bring an array of old school hits and current top 40 tunes to the dance floor for all guests to enjoy. All I can say is that the normally lethal combination of good music, copious amounts of Rose and the summer sun seemed to work in our favour as both young and old were cutting up the dance floor exquisitely. There was an encore from the crowd for the band to play on and they did…well past midnight. Our destination wedding did not stop there, guests were asked to join us the next day for Brunch at Nick’s Grandparents lake house. The groom & groomsmen were up at the crack of dawn erecting signs to lead the way to the lake house, a coffee cart greeted dehydrated guests at the gate and there were not only stunning lake views to take in but an array of food cooked by chefs on the spot from; steak sandwiches and gourmet sausages to pancakes and fruit salad. 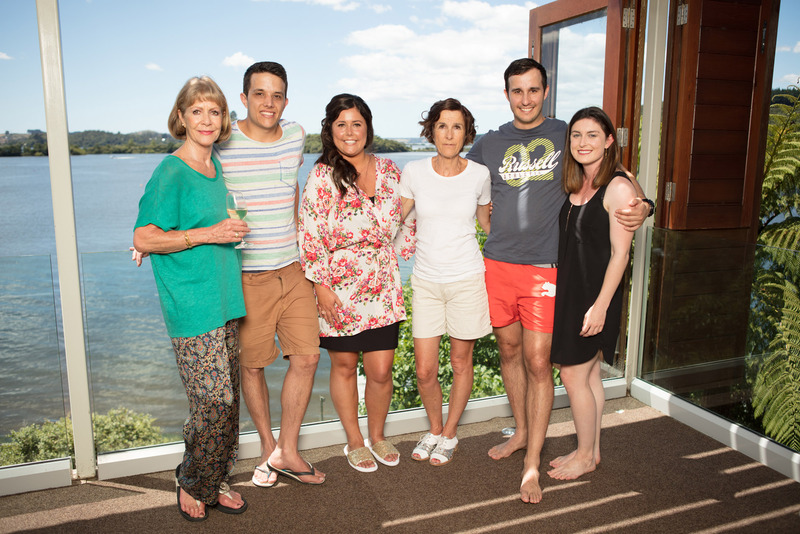 This was a time for our family and friends to reflect on the previous day and say their goodbyes before the majority of them headed back up to Auckland with full tummies and fond memories."